Jim Rogers argues that the €130 billion Greek bailout is an artificial feel-good factor ahead of the French, U.S. and German elections. Source: Reuters, February 22, 2012. Marc Faber, editor and publisher of the Gloom Boom & Doom Report, discusses the S&P downgrades of France and other European countries. He believes they should be downgraded even further. Source: CNBC, January 13, 2012. Angst about the European debt malaise reappeared yesterday, with the Greek bailout being delayed and France seeing its debt costs rise at its first bond auction of the year. In order to gauge whether credit conditions in Europe are improving or worsening, I am keeping a close eye on the so-called TED spread, specifically the European TED Spread. This is a handy measure of perceived credit risk in the European economy. The spread is simply the three-month euro LIBOR rate less the three-month Euro Generic Government Bond rate. The Euro Generic Government Bonds are considered risk-free (if there is still such a term) while LIBOR reflects the credit risk of lending to commercial banks. The TED spread therefore reflects the premium in the interest rate banks charge each other versus the cost of borrowing from the European Central Bank (ECB). It therefore follows that an increase in the TED spread is a sign that lenders believe the risk of default on interbank loans (also known as counterparty risk) is increasing. 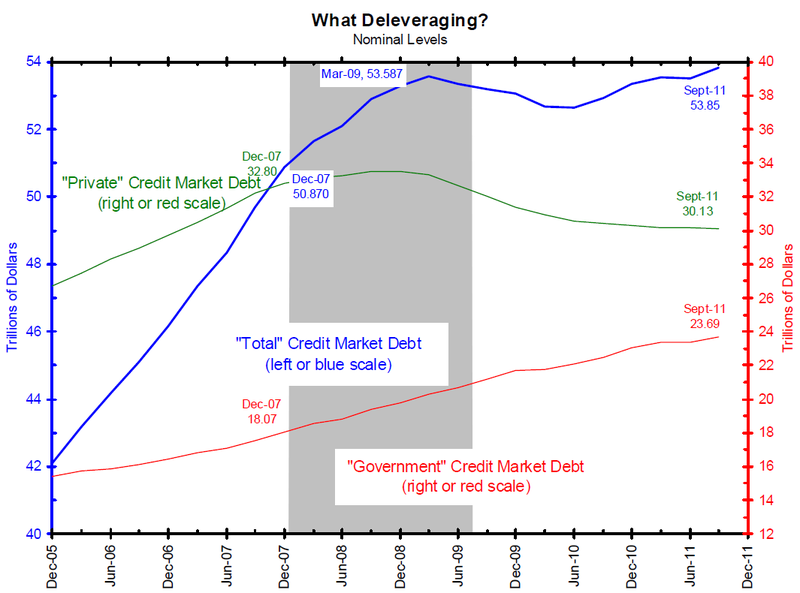 On the other hand, the TED spread narrows when the risk of bank default is considered to be decreasing. The short- and long-term charts of the TED spread below show that the spread had increased quite sharply since June this year, but peaked with the announcement of the ECB’s long-term financing operations (LTRO) in December 2011, i.e. the ECB making cheap 3-year loans to European banks. Confidence in interbank lending has started improving, but the European TED spread needs to show a more meaningful decline in order for a calmer environment to prevail. 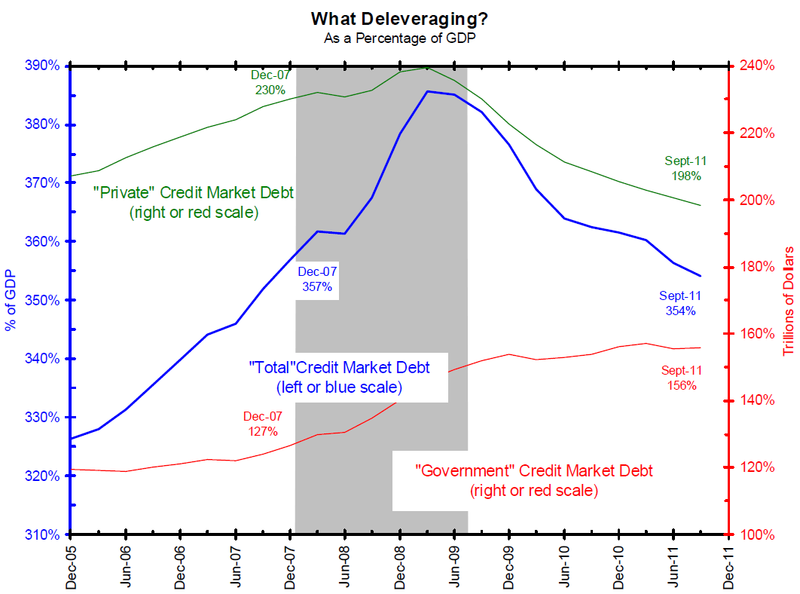 By Prieur du Plessis, on January 6th, 2012 posted in: DEbt, Economy, US 3 people had their say - chime in! This post features a satirical short film, taking a look at the U.S. national debt and how it applies to just one family. The film was produced by Seth William Meier, starring Brian Stepanek (also writer and director) and Eddie Jemison. Source: YouTube.com, January 5, 2012.